I was going to start a "show your guns" thread, then I remembered there already was one. I don't have any guns to post but I thought I'd try to bring this thread back. 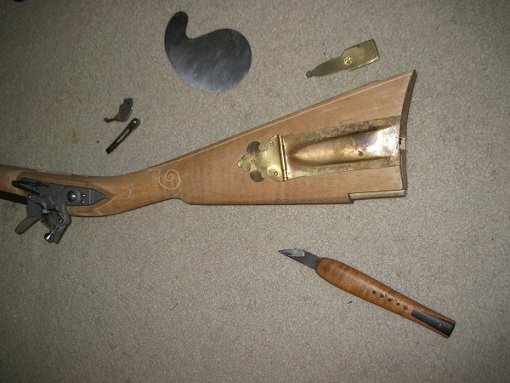 Here is a pic of a rifle I am building right now... ~1770s... 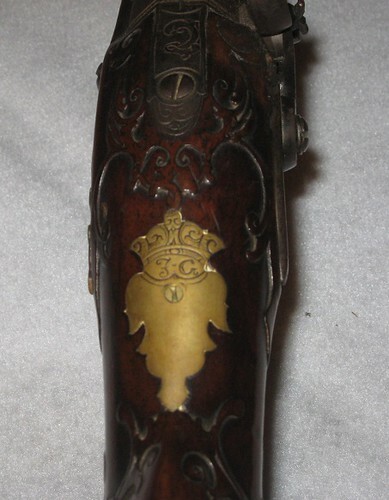 Copied many items from two different Dickert attributed rifles... some other little bits added to make it look like it was made just prior to the rev war but later repaired/ updated to be more sturdy such as the toe plate and domed patch box with the end modified. Need to take another pic but I have already finished carving, stained, browned the lock and blued the screws. Finish is already on about a dozen or so coats of thinned BLO. The butplate not in the pic is actually off an origional. Here's a larger portion of my dad's antique firearm collection. I didn't get around to taking pictures of a few of them when I did this photo shoot last year, but this represents most of the finer stuff. We'll shoot most of the rifles on occasion, and enjoy the capabilities of these weapons wholeheartedly. There's nothing like loading ball and powder down a muzzle and firing away. Note that the scales are made from camel bone. Being white once, after approx. 140 years the bone gradually turned into this redish-goldish-brownish colour. 4 Generic Scots all steel. 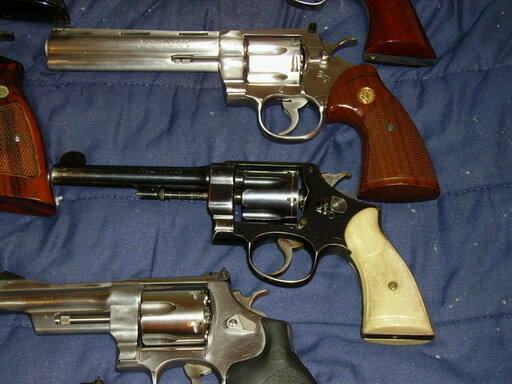 These I use Reg in competition +, but own a couple of others. my new fusil. 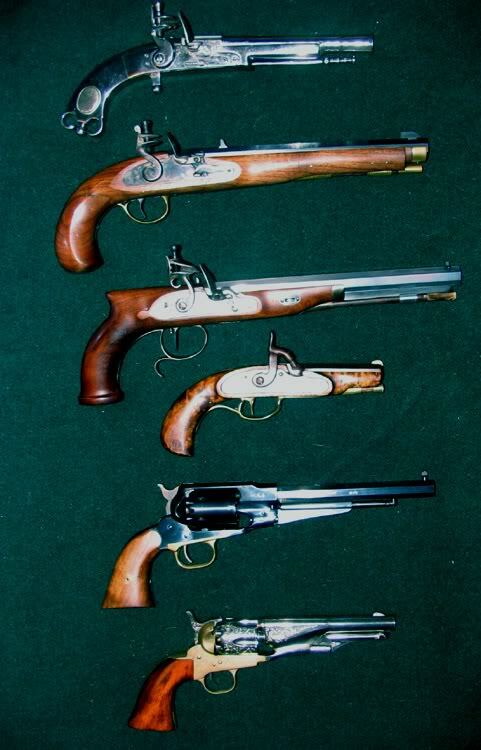 loyalist arms. 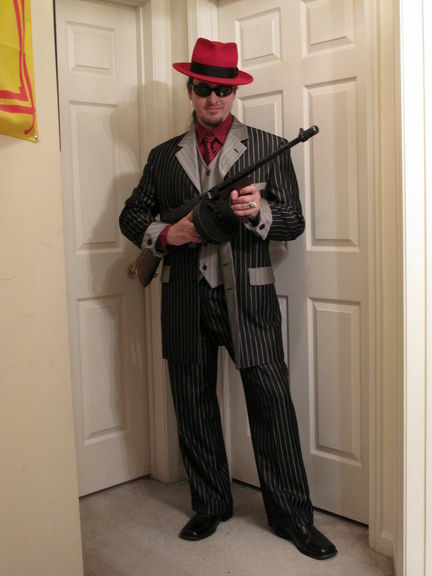 It's a modern semi-auto replica, so it has a longer barrel than the historical originals (otherwise it would be class-3). Ah, well, my collection is protected by the security firm of Sig and Glock. Well known in certain circles. Are those real ivory panels on the Thunder Ranch .45? 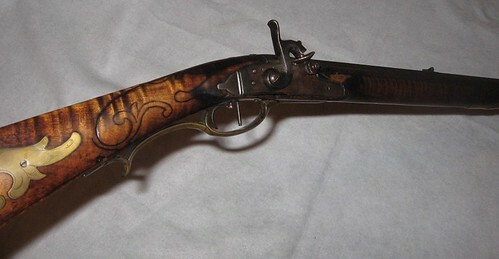 My flintlock of indeterminate origin. All I know about it is that it is 8-10 bore, has a set trigger, and straight rifling. Looks good on the wall. maybe I'll get some pictures of some of the other ones. 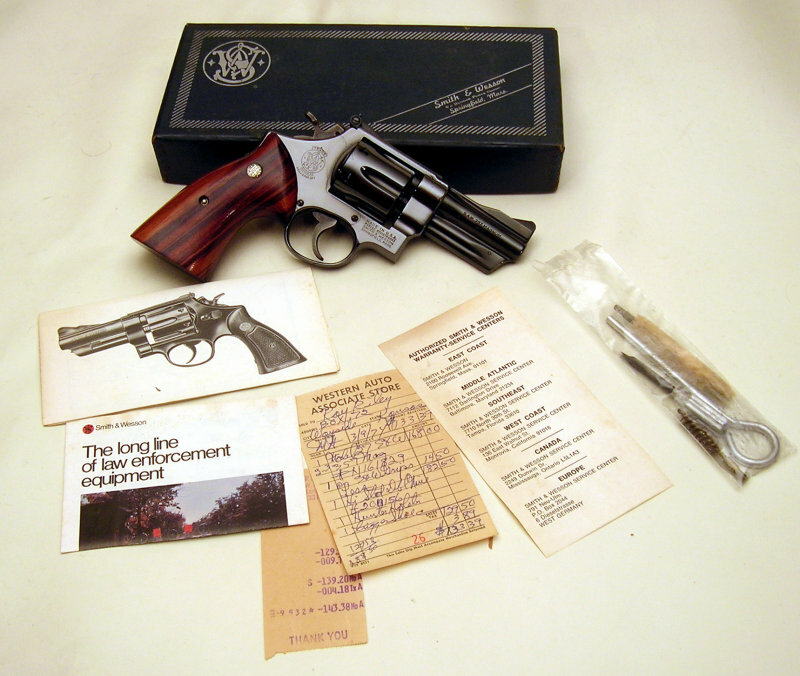 Man Wish I had some pictures of the 1912ish 38-40 Colt Peacemaker I sent to my brother. It was was my granddads and possibly my Great-Granddads. 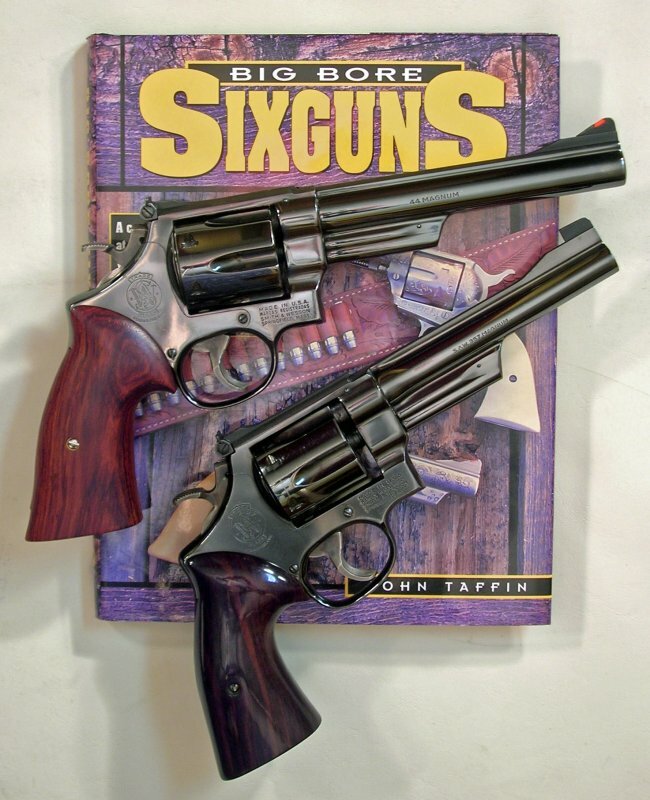 Yes they are, but it's a Colt Gunsite Model. Like that Thunder Ranch though. 1. 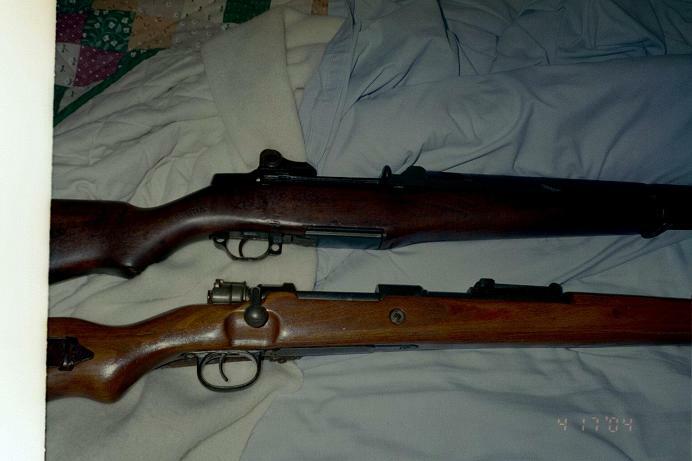 Springfield M1 Garand (purchased through the CMP) and a war trophy Mauser 98K. 2. 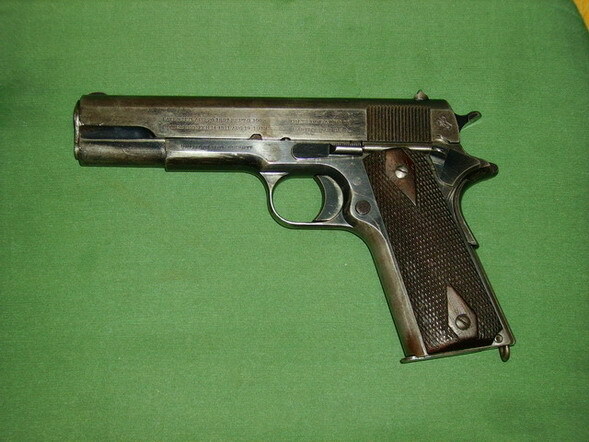 Colt 1911, original, WWI-vintage. 3. 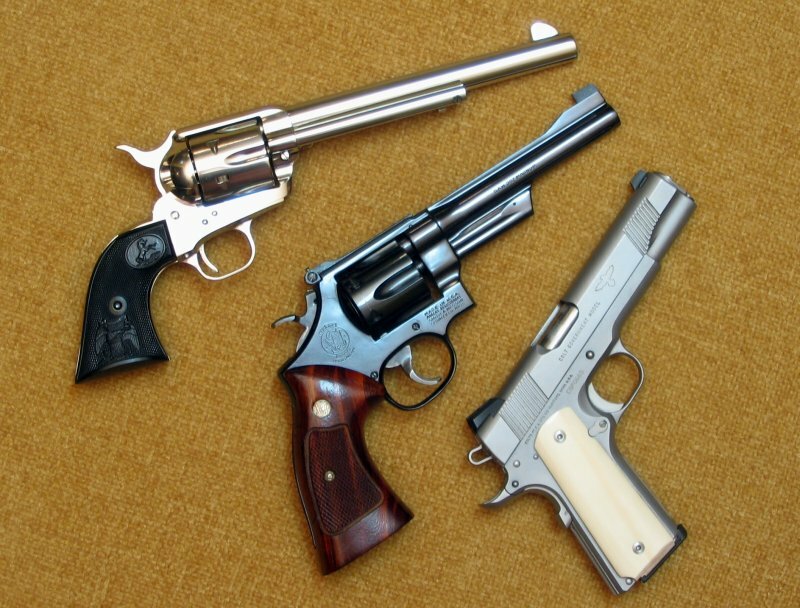 You can see three revolvers here: On top, a Colt Python, .357 Magnum. 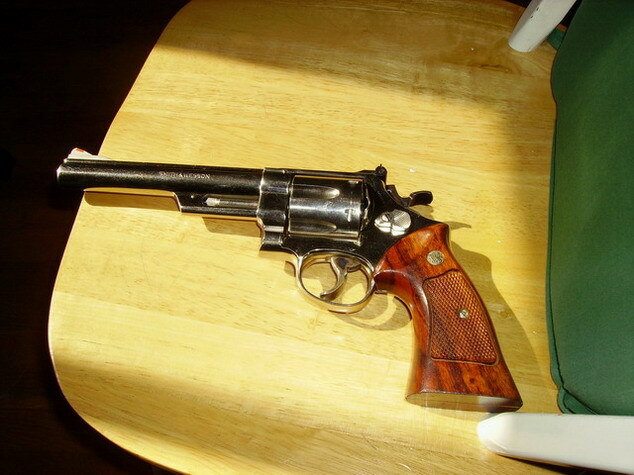 Below that, a S&W 1917, converted to .45 Colt (from .45 ACP). No, it no longer has those cheezy faux-pearl grips. 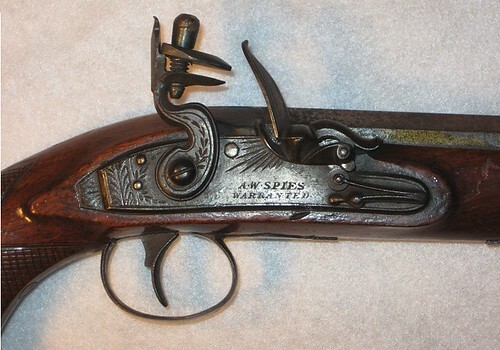 Below that, a S&W 625-7 "Mountain Gun", .45 Colt. 4. 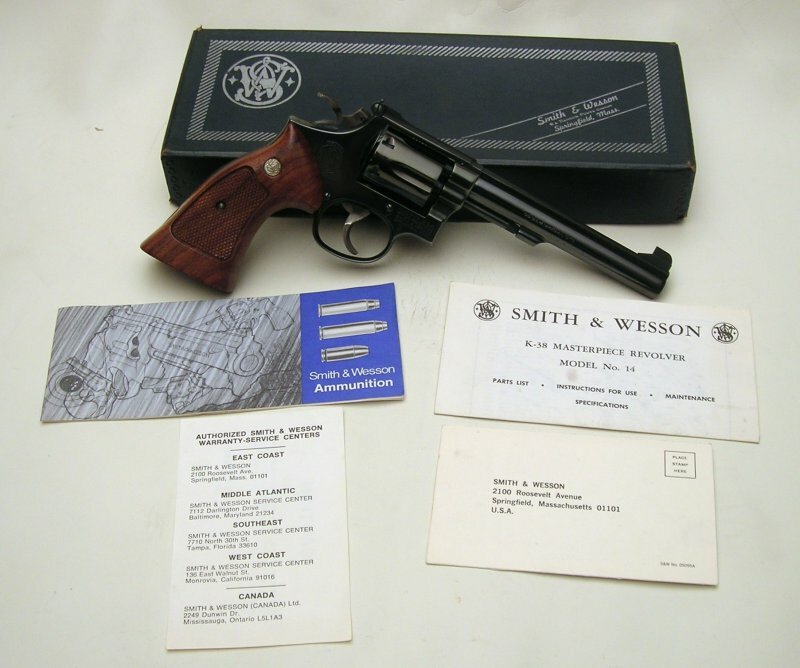 S&W 29-2 .44 Magnum, nickel plated, 6.5 inch barrel. 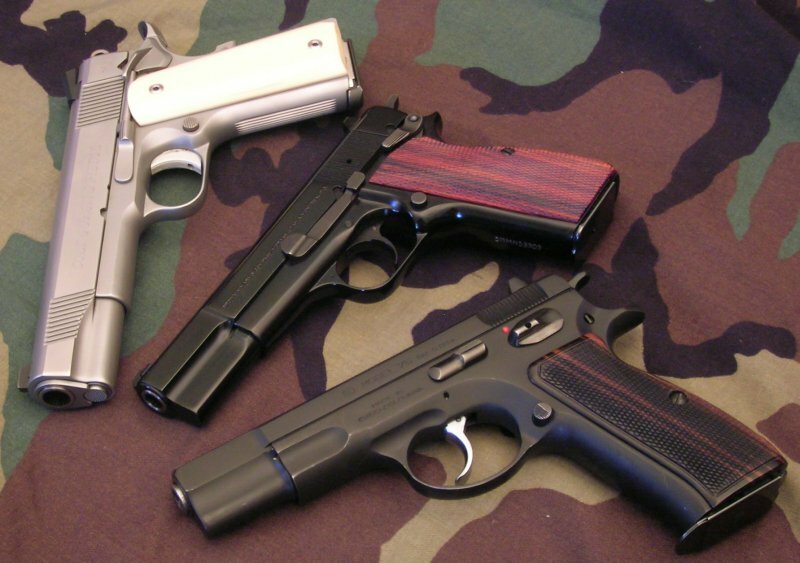 I see you own CZ-75 also. Mine is Compact version. Thank you Boris, I'm quite a fan of the CZ in fact I consider it one of the best service pistols available. 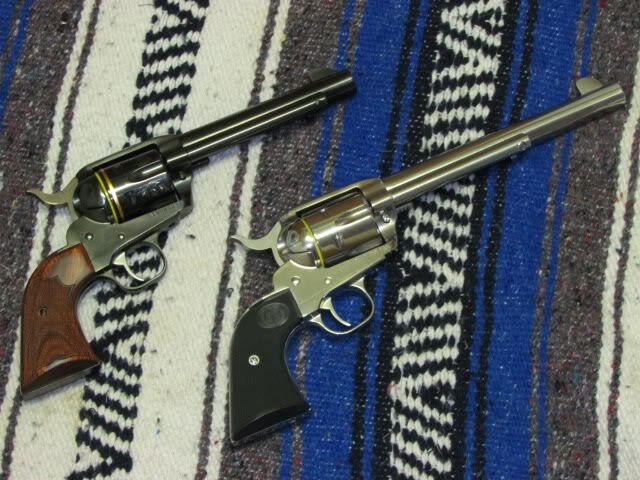 A couple of rifles for your enjoyment. 1. Izhmash Izh-54 12 ga. double-barreled shotgun. 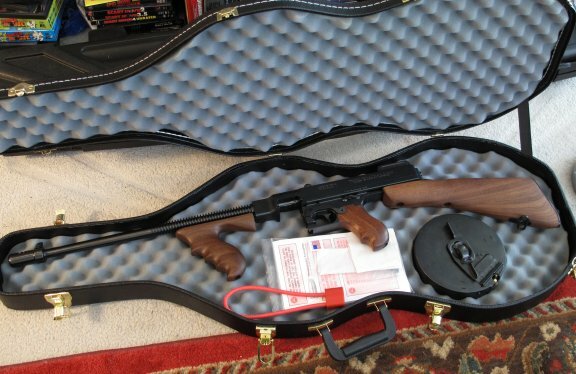 Elegant and excellent, although a little bit heavy (which is typical for Russian firearms), shotgun. 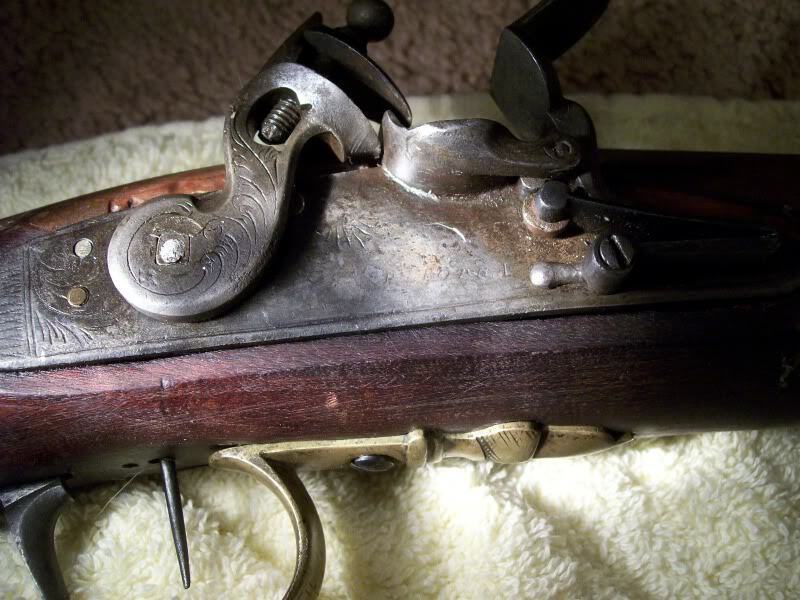 Manufactured in 1967 and owned by three different owners, it still serves me quite well, due to its robust-made barrels and Greener cross-bolt system of the breechlock. 2. Serbian Zastava bolt-action rifle in .30-06 calibre, based on Mauser 98k design. 3. Bulgarian semi-automatic SLR-101 rifle in .223 Remington calibre, based on AK design.